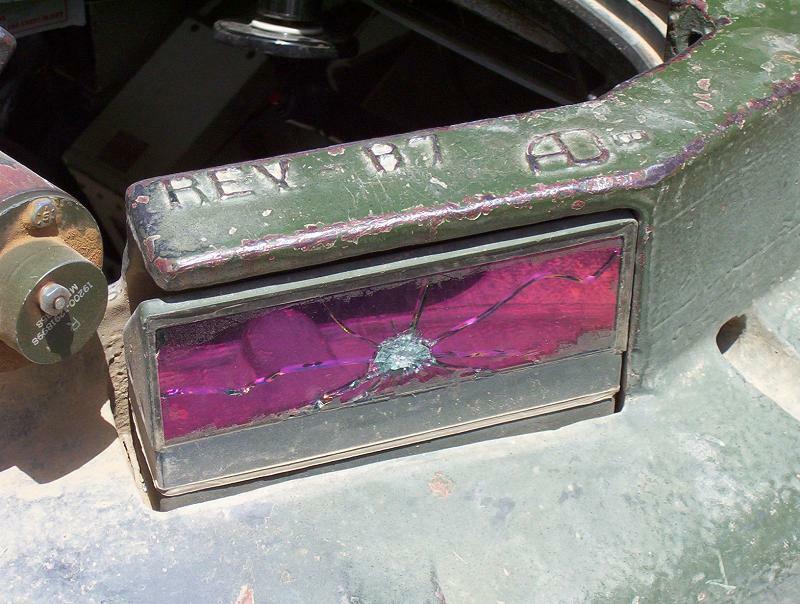 Speaking of armored glass reminds me of a post to his blog by Major Nicolas Moran entitled “Significant Emotional Events” about firefights in Iraq that shows how it performs in the real world. Afterwards he found this had happened one of his periscopes on his M1 tank (round was either 7.62X39 mm or 5.45X39 mm Russian) – he had no idea while the fight was on that it happened. Making it even more emotional, Moran had his head out of the hatch during the engagement – experience has shown the risk is more than repaid with situational awareness which is the reason US, British, German and Israeli tank commanders do it – so if the Iraqi had shot just a bit higher, instead of killing the periscope, he would have taken Moran’s head off.